Why couldn't the NSA program have been run through FISA? Did the president violate the FISA law? 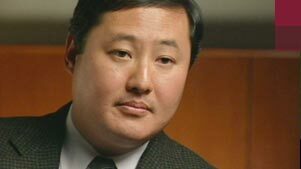 John Yoo was the deputy assistant attorney general in the Justice Department's Office of Legal Counsel from 2001 to 2003. During that time Yoo helped draft the Patriot Act and was reportedly an author of the legal basis for the NSA domestic surveillance program. He does not deny his involvement in that project. This is the edited transcript of an interview conducted on Jan. 10, 2007. ... Most people have never heard of the Office of Legal Counsel in the Justice Department. ... What is its power? What is its function? Its power is to interpret the Constitution and federal laws on behalf of the president and the attorney general. This is extremely important in peacetime, but in wartime it's of the utmost importance, because war, just by its nature, expands the power of the presidency and expands the power of the national government as a whole. Most of the things that happen in wartime have never come up for a decision by the courts, so it's really the attorney general, the Justice Department and the president who have had the primary role throughout our history of interpreting the powers of the president, the powers of the government in war. You said you were one of the first in the Justice Department to recognize this as war as opposed to an isolated attack, a law enforcement problem. What's the importance of that? What advice did you give the White House? Well, it was my view at the time, which I wasn't shy about sharing, that we were at war. I think that is important, because if you're at war, the powers of the government change; the powers of the president change. They both generally expand. We had, as a nation, under administrations of both political parties, treated terrorism as a criminal justice matter, which primarily meant that we would wait for the crimes to occur, just as we do normally, and then try to piece together the events and hold people responsible after the fact. When you switch to a footing of war, you are trying to use society's resources, the military primarily, to stop future attacks, not just hold people responsible and accountable -- which is impossible to do with suicide bombers involved -- for things that have already happened. So, for example, the surveillance powers of the government, I think, expand. So, for example, in wartime you're allowed to detain members of the enemy without having a trial; criminal trials are for peacetime and for crime. So powers of government expand once you're at war. It's just a different kind of war. So you have a new kind of war, a new kind of threat, a new paradigm. Does that mean you rewrite the rules of engagement? ... There were a couple of major things that were done fairly quickly right after 9/11 in terms of Congress. One was the authorization to use military force, and the other was the Patriot Act. What was your role in those? With the authorization to use military force -- it goes again to my just happening to [be] there with the kind of work I'd done. In the past I [was] probably one of the few people in the government who had read every single authorization to use force and every declaration of war ever issued by the United States as something I read for my scholarly work on. So I participated in the drafting of the authorization to use military force. I went to the Hill with people from the White House to negotiate with the Senate and House leadership about the exact wording of the resolution. With the Patriot Act, I was asked to work on -- it was probably the most important in my mind -- constitutional issues raised by the Patriot Act, which was pulling down the wall that had separated the intelligence agencies and law enforcement from sharing their information about Al Qaeda and other terrorists. So you're actively involved in drafting and negotiating key provisions of the authorization to use military force and the Patriot Act. Now, you said that the draft of the resolution to authorize military force allowed the United States to use military force and other means wherever in the world they needed to. In your mind, did that AUMF [Authorization for Use of Military Force] resolution include the United States itself? And use of force, to you, means not just military force but intelligence, surveillance, things that are necessary in order to know which way to point your guns. Right. I mean, you wouldn't say you're authorized to shoot the gun, but we're not going to allow you to figure out where to point it. The whole point of authorization is not just to use force, but all the ancillary powers that we have traditionally used as a nation to effectively do that. One of those is gathering intelligence. Another one is detaining members of the enemy that we capture. And gathering intelligence then means gathering intelligence at home as well as abroad. I think that's right. Again, if you're going to gather intelligence and follow members of Al Qaeda outside the United States, you don't want to make the United States some kind of safe haven where once they cross the borders into our country it actually becomes harder to find them and track them down. That would be perverse; exactly the reverse kind of powers that you want our government to have when it's fighting especially this kind of enemy, which tries to infiltrate our borders and launch surprise attacks. Well, one thing is to make clear it's war and that the power of the president in wartime has been activated. The second thing we wanted to do was to figure out what problems had there been in the way the government was doing business that had allowed Al Qaeda to succeed and to try to remove those barriers, obviously consistent with the Constitution. The Patriot Act was an effort to do that, to pull down self-imposed restraints which weren't legally required or were unnecessary that had hamstrung our government from being able to track down and defeat Al Qaeda terrorist cells in our country. Now, at the same time you were working with the White House and others in expanding the potential for the use of the National Security Agency [NSA] to gather intelligence. That right? I can't go farther than what's been released publicly. As the White House has said, the National Security Agency intercepts communications from abroad coming into the country where someone on the calls is a suspected member of Al Qaeda. The press has reported and I haven't denied that I worked on the legal authorization for those programs. This would be the legal authorization for the warrantless eavesdropping. I haven't denied that I did. Well, let me read something to you that you wrote and have you help explain to me what's going on here, an internal memorandum from you, and a legal opinion, saying that the government -- and I suppose that meant the National Security Agency -- could use "electronic surveillance techniques and equipment more powerful and sophisticated than those available to law enforcement agencies in order to intercept telephone communications and observe the movements of persons but without obtaining warrants for such uses." Explain. … What's the government trying to get at with that? Well, first, I don't specifically remember that memo, but I agree with it. I agree with that statement. … It sounds like something I would have written. I'm not denying that I wrote it. I just don't have it in front of me, and I don't have the memos in front of me. But what I would say is this: ... One thing our armed forces always do, traditionally do over time, is intercept the communications of the other side. It's called signals intelligence. It's something we did, for example, in World War II, where we intercepted Japanese naval and diplomatic codes that tipped us off to the Midway attacks. Can the government pull out the communications it wants, or does it have to have access to the entire flow? You're aware there's a case out here in San Francisco where people are saying AT&T violated the law by giving the National Security Agency access to phone and Internet traffic. As a lawyer, in your opinion, that actually would violate the law. No, I don't think so, if it was part of the president's commander-in-chief power to gather information on the signals intelligence of the enemy. It could be done without a warrant? My question wasn't actually whether it was wrong. My question was, is it a violation of the law? Could you do that kind of blanket eavesdropping, listening to those calls, under the Foreign Intelligence Surveillance Act [FISA]? No. This is a good example of where existing laws were not up to the job, because under existing laws like FISA, you have to have the name of somebody, have to already suspect that someone's a terrorist before you can get a warrant. You have to have a name to put in the warrant to tap their phone calls, and so it doesn't allow you as a government to use judgment based on probability to say: "Well, 1 percent probability of the calls from or maybe 50 percent of the calls are coming out of this one city in Afghanistan, and there's a high probability that some of those calls are terrorist communications. But we don't know the names of the people making those calls." You want to get at those phone calls, those e-mails, but under FISA you can't do that. As the national security specialist in the Office of Legal Counsel in the Department of Justice, do you think you have a legal basis that you can say to the White House, yes, you can take all those calls coming from Afghanistan, not just individualized suspicions but all of them? Did you give the White House that advice, or did you give the attorney general that advice? I'm not allowed to say, but what I will say is that different news reports have attributed that to me, and I haven't denied it. But I can't say what I told the White House or not as a matter of privilege. Why couldn't the government operate under the Foreign Intelligence Surveillance Act? There are two big reasons. One is that you need what's called "reasonable suspicion." You already have to have reason to think a specific individual who you can name is a terrorist, and that's based on things you already know that that person did. It's very typical of the idea of using the criminal justice system as an approach to terrorism, because the reason you would have reasonable suspicion [that] someone is a terrorist is usually because something's already happened. If you're trying to prevent future terrorist attacks, trying to make guesses, trying these probabilities, you may not have a lot of information that says this person for sure is a member of Al Qaeda. The second difficulty is that it doesn't allow you, for example, to tap streams of communication that might be coming from, say, Afghanistan to the United States to try to search through those for terrorist communications. Even though you don't have a specific name of a terrorist leader, you think there's a high likelihood communications came from a specific city or from a specific mail server or something might involve terrorist communications. One of the whole areas that you were covering was data mining: computerized pattern analysis of communications and that kind of thing. I'm still focused on what it is that FISA was preventing [the government] from doing that it wanted to do. But could you, under FISA, get a warrant to do generalized gathering of information? ... [W]as that a limitation the government felt it had to overcome? I don't know if there was ever within the government the sort of broad discussion about, as far as I know, about whether the government ought to ignore or do away with FISA. I didn't ask that question. On this issue, where do you come down -- the issue of whether or not the government needs access to the general flow of AT&T Internet and general phone calls in order to try to look for the Al Qaeda communications? What I think the government needs [is] to have access to international communication so it can try to find communications that are coming into the country where Al Qaeda is trying to send messages to the cells members in the country. In order to do this, it does have to have access to communication networks. I think that we need to be able to move to a system where we use computers, because I think human beings can't do this one by one; you need to have computers to do it, where we have computers that are able to search through communications and are able to pluck out e-mails, phone calls that have a high likelihood of being terrorists' communications. You heard the same thing we heard: that you can't separate out domestic and international calls, that and Internet traffic; that it's all mixed in there together and you can't necessarily tell. It sounds very simple: We'll get all the telephone calls from Afghanistan to here, but if they communicated from Kuala Lumpur, [Malaysia,] or the call comes in to San Diego and somebody in San Diego calls somebody in Detroit or Dearborn, Mich., or the call goes to Newark, N.J., you may want to follow all of it, right? I can't speak to that, though I do think that our government has amazing technological resources at their disposal. But I can't address specifically what our government can or can't or is or is not doing right now. But legally, from your point as the White House's lawyer, legally can they do that? In wartime, if we have an enemy who's trying to attack the United States, I think the government does have the constitutional power to try to intercept the communications of the enemy, particularly when it's trying to get into the country to carry out another attack. You've made the point we've crossed a watershed here, haven't we? ... We've moved from prosecution over past actions to pre-emption from the next attack. Yeah. I think we have moved from a world of holding people responsible for attacks that have already happened to trying to stop them -- to pre-empt Al Qaeda from to attacking us again as they did on Sept. 11. What from your standpoint are the principal problems with the Foreign Intelligence Surveillance Act, FISA, for a government trying to pursue terrorism? I think the biggest problem with FISA is that it's rooted in the mind-set of the law enforcement system, primarily, you need reasonable suspicion that someone is a terrorist; you really need to have information; you really need to have something that person did already that point[s] him out as a terrorist. That prevents the government from certain kinds of data mining or trying to search communications for key words, from trying to correlate key patterns of activity that may have a high probability of being linked to terrorist activity. But when you don't already have somebody's name, you already don't have it attached to somebody you think is a terrorist, then you need to be able to do that, to be able to predict and stop future terrorist attacks by people who may not already have committed a crime, may not already be known terrorists. But you're talking about the issue of individualized suspicion, right? That's sort of rooted in Anglo-Saxon law. You had to have probable cause that somebody committed a crime, you got a warrant, you get to listen to the phone, right? So what you're saying is, from your standpoint legally, that's an outmoded idea. It hampers the government. It's interesting, John. You're doing two things here. You're publicly going to the Congress to ask for authorization of military force and to write the Patriot Act and to amend FISA -- publicly. But privately you, John Yoo, in the government are also secretly deciding to go ahead with warrantless wiretaps. Well, let me say this: When you get the authorization to use military force, when you're getting a Patriot Act, I think those are things you're asking Congress for. It doesn't harm the national security to ask those things of Congress. You're not giving away secrets about what we're doing. Who knew about the secret wiretapping program in the Justice Department? So you're talking with the attorney general; you're talking with the White House. Are you talking with people in the Pentagon? The Pentagon is, after all, in control of the National Security Agency. But very few people. This is very closely held. The thought process you have laying out the limitations on computerized searching of mass data, communications data, individualized suspicion, the number of limitations here indicates to me that you spent a lot of time looking at FISA in great detail. Well, we spent a lot of time looking at FISA but also thinking about the use of electronic surveillance in wartime and the president's constitutional abilities, the courts' and the Congress' role in that process. This is a power that presidents have used consistently since Woodrow Wilson. There are presidents like Franklin Roosevelt, for example: He used it much more broadly than the NSA surveillance program we're talking about today, but there's a long constitutional history of it. There's a number of opinions where the lower courts have approved warrantless surveillance programs like the one we're talking about here, one undertaken for national security purposes. The Supreme Court has avoided deciding the question. You cited the precedent of Roosevelt and Wilson and other presidents but all that was before the FISA law was passed in 1978. So there are people who argue that the president of the United States violated the FISA Act. What's your response? So what do you say to people that say the president violated the FISA law? But there are also people who say the Fourth Amendment says American citizens, U.S. persons, have a right not to be subject to unreasonable search and seizure, which is where you get to individualized suspicion. And if you get to this point where you're saying individualized suspicion doesn't work in a pre-emptive campaign against terror, you are running right directly into a major constitutional principle. Look, there's no doubt that there are important Fourth Amendment issues here. One is, is this a reasonable search and seizure? You can still have warrantless searches, but they have to be reasonable. And then the second question is, does that restriction apply to wartime operations? We don't require a warrant, we don't require reasonable searches and seizures when the Army, the military's out on the battlefield, attacking, killing members of the enemy. But that's usually abroad, and it doesn't involve the American homeland and American cities. But this gets to my point, [which] is, do you want to make it more difficult for our government to try to stop terrorist attacks the closer members of Al Qaeda get to the United States, the closer they get to striking our cities as they did on 9/11? You want to make it more legally difficult for the government to stop that? I don't think so. But your critics will say efficiency isn't the only question in democracy. Yes, it's more efficient to let the executive branch make all these decisions on its own, but that isn't the deal we made in democracy. We said we were going to pass laws, and we were going to be a system of laws. Right. And Congress has the ability to cut off the funding for this or any other kind of military action it doesn't like. But you know as well as anybody else knows that Congress rarely, if ever, cuts off funding when there's a military action going on. That isn't the only way to operate. That is not a constitutional defect. That's just because Congress doesn't want to take the political heat for making a decision like that. But there's also a constitutional defect if the only [thing] the executive branch can say is, "Trust us." Phone records reportedly have been turned over to the NSA by the millions over a period of three, four, five years. How do we know that that isn't being abused? There have been abuses in the past. On the other hand, I don't think that we voted all power to a dictator in saying, "Oh, we trust you." The system has checks. They may come in after governmental decisions are made. We do trust the president and our military leaders to make thousands of decisions when they wage war. We don't subject each single one to a decision by Congress beforehand. We look at things after the fact usually and judge it then. … You say, well, our system is a system of checks and balances; Congress has to pass these laws first; you have to go to Congress to get permission. That is a way of thinking about peacetime regulation and about the normal way we make laws. I don't think that's the way we do it in wartime. That is the way you did it in October 2001. You went to Congress. I think that to the extent you can use that system, it's a good one, but it has to be balanced against the benefits, obviously, in wartime of acting quickly and, I think, secretly. Otherwise, why not just have war run by Congress, too? It's undeniable when our framers gave the president [power] to be commander in chief, when they created the strong presidency, they understood that there's certain benefits to executive action which are amplified in wartime and to give the president more power so that the country would benefit from it. There's no doubt that the president's warrantless wiretapping authority for national security reasons could be abused and has been abused. It was abused by President Nixon. At the same time, I want to point out that we can overreact to the mistakes and abuses of one man, by one president, and erect procedures and limitations on authority that cause great problems for our country in forestalling terrorist attacks. One thing I think the 9/11 Commission makes very clear is that some of the things that the FISA act did actually prevented our intelligence agencies from doing a better job of stopping Al Qaeda before 9/11. There were no bad intentions. It wasn't a mistake per se. It was just an overreaction, I think. We went too far in restricting our intelligence agencies when we tried to make sure there would be no other abuses of the kind we saw in Watergate. It isn't just Watergate, though. What we don't know is what's going on. What has happened and what we've seen is that all kinds of people who shouldn't have been on no-fly lists have been taken off airplanes -- Sen. [Ted] Kennedy [D-Mass. ], members of Congress, other people, kids 11, 12 years old. … So we can see, in the visible part, that there have been significant mistakes made. How do we know that when there's warrantless wiretapping going on in this country that there aren't innocent people whose names are on watch lists and whose phone records are being monitored and whose information is being pulled into these terrorist watch lists? There are always going to be mistakes made in any kind of government activity. Even if you had a warrant system, even if you had individualized suspicion, our police agencies make mistakes all the time. … It's impossible to have an error-free system. But isn't that why the FISA court exists? No, no. That's not why the FISA court exists. [But it's] One of the reasons the FISA courts exist, isn't it? So that the FBI or the National Security Agency goes to the court and says, "This is what our reasonable suspicion is; this is probable cause; now you review it independently, and you approve it"? One of the purposes here is to make sure that fewer mistakes are made. Isn't that true? There's no doubt that involving the FISA court or other branches of government in the decision before you do it may reduce the errors. There's no doubt. And you'll have a better sense of the benefits, although I don't think that the courts are in the best position to decide what national security activities we should engage in, because they can't, I don't think, accurately judge the benefits. But that's the point, isn't it? They're just trying simply to say, "Is the record that you brought to us on these people persuasive?" How do you deal with these critical questions when you've passed through the period of immediate emergency and you're now into long-term, new legal principles, without going to the legislative branch? First of all, I think the executive branch would always want to get the support of the Congress any time it can in the measures on war and terrorism. So I think, for example, with the Military Commissions Act that was just passed in October, the president did go to Congress and got extensive legislation on detentions, on military trials, on interrogations. I think when they can and do it in a way that doesn't blow the advantages they -- we -- get through using covert activity, I think the executive branch always wants that. And it makes perfect sense, because it makes better sense as a country to have both the president and Congress politically onboard for these kinds of actions, because, as you say, it is a conflict that has been long, and so you want to have public confidence in decisions that are going to be made. I think, unfortunately, it's not because this administration ... has just got a penchant for secrecy. I think it's because of the kind of enemy we're facing, the kind of conflict that was thrust on us on 9/11, that the government has to be especially conscious of secrecy. Well, FISA says that the minute you take the communication, that's when the search occurred. What we want to be conscious of, though, is if we're really trying to balance privacy interests in individuals versus the needs of the government. For example, is there really an invasion of privacy, for example, if computers are initially searching through communications first and only bringing correlations to the attention of a human, to a security officer when there's a certain level of confidence that they might involve terrorism? I think that would require a change in the way that the legal system currently thinks about searches of electronic surveillance. Wouldn't it be possible to amend the FISA law, if people agreed on that, without giving away an operation? You said that you'd written a series of opinions on the NSA and on NSA programs, and I'm wondering, were those about different aspects of the programs, or was it necessary to write an opinion each time the program renewed? As the president said, periodically the program comes up for renewal, for reauthorization, and as he said, each time it happened the Justice Department would take a look at it and make sure it was being done the right way, that it was still reasonable given the context. And so the Justice Department, we would do that every 90 days. So it's kind of a review of the whole program. It's not necessarily because the program itself is changing. Right. Even if the program didn't change at all, according to the way that the president has described it being set up, we'd still look at it to make sure it was legal. But in some instances the program might have changed.